George Worker, Ross Taylor and Henry Nicholls all scored half-centuries to help carry New Zealand to a daunting total of 325-6 after the hosts were sent in to bat in Saturday's second one-day international against the West Indies. Worker made a career-high 58, beating his previous best of 57 which he made in the first ODI match at Whangarei on Wednesday, after sharing in a solid 50-run partnership with Colin Munro for the opening wicket at Hagley Oval. Taylor held the middle order together with a well-crafted 57 to register his 39th ODI half-century while Nicholls batted through the last 20 overs and finished 83 not out, his highest score in a ODI. Nicholls also shared a record sixth wicket stand of 130-run with Todd Astle, who was bowled by Sheldon Cottrell for 49 in the last over. 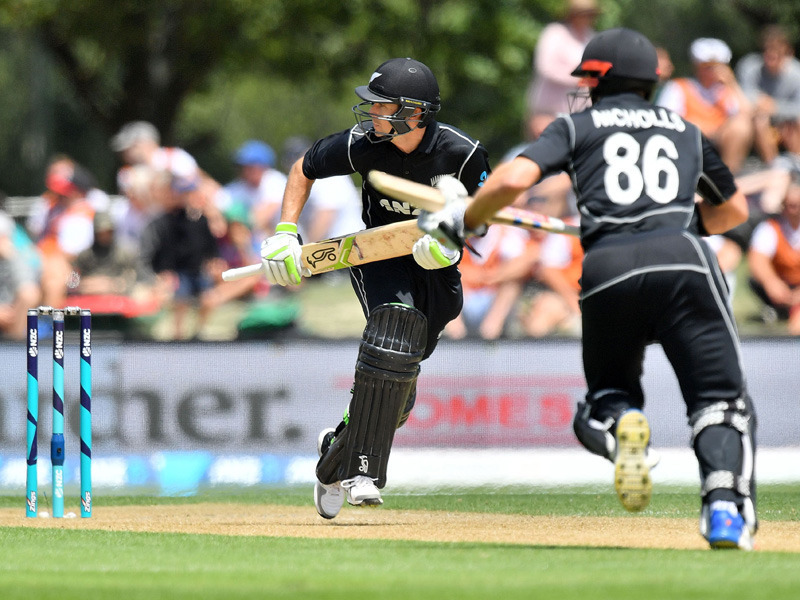 Nicholls faced just 62 balls and hit seven fours and two sixes as New Zealand blasted 103 runs off the last 10 overs to post more than 300 for the first time in 2017 and in a strong position to clinch the three-match series after winning the first game. Cottrell, playing his first international in almost three years, also took two early wickets to finish with 3-62, while West Indian skipper Jason Holder, with whom he shared the new ball, dismissed Taylor and New Zealand captain Tom Latham to finish with 2-52. The West Indian fast bowlers made good use of the short ball throughout most of the innings, and looked to be in control after reducing New Zealand to 186-5 with 17 overs to go before Nicholls went on a late surge. He began his innings slowly, and needed the Decision Review System to overturn an lbw decision which had gone against him when he was 22, but finished with a flourish. The West Indies are playing without Chris Gayle, who has an unspecified illness, while New Zealand has rested regular captain Kane Williamson.